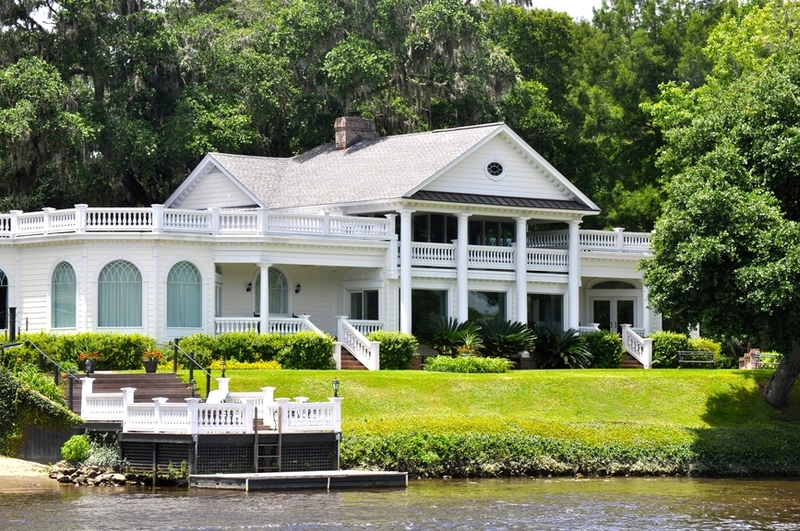 While the large white, symmetrical mansion with columns is the stereotypical “plantation home design” not all southern mansions are built in this style. 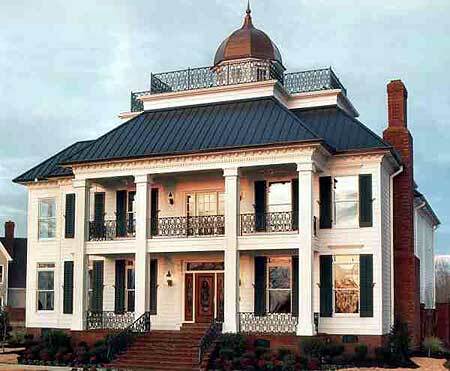 In fact, the architecture across both historical and contemporary southern home designs varies. 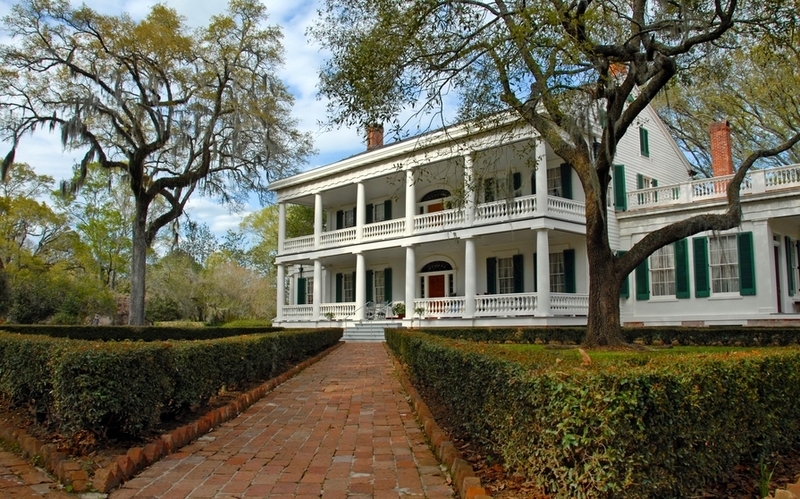 The overarching architectural term used to refer to plantation homes is antebellum architecture, which includes several forms of architecture including Greek Revival, Classical Revival, Victorian, Colonial, Georgian, French, Federal and Roman architecture. 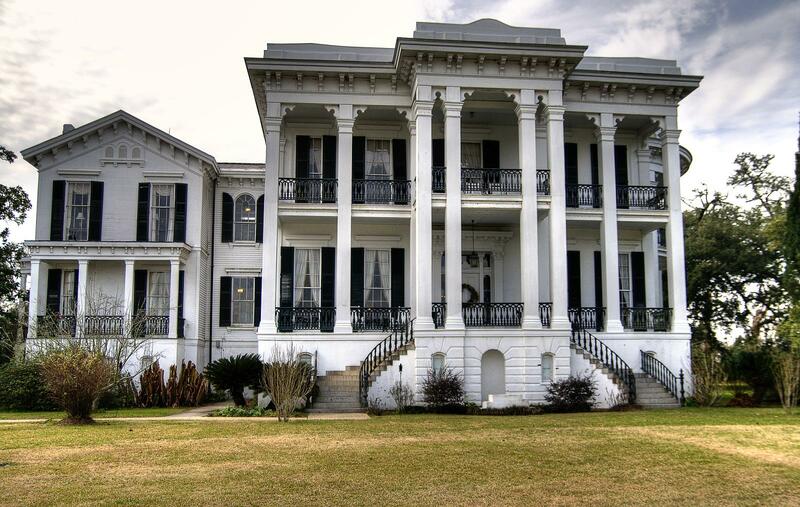 In the 18th and 19th centuries, many incredible mansions were built throughout the South… many a result in large part to slavery. 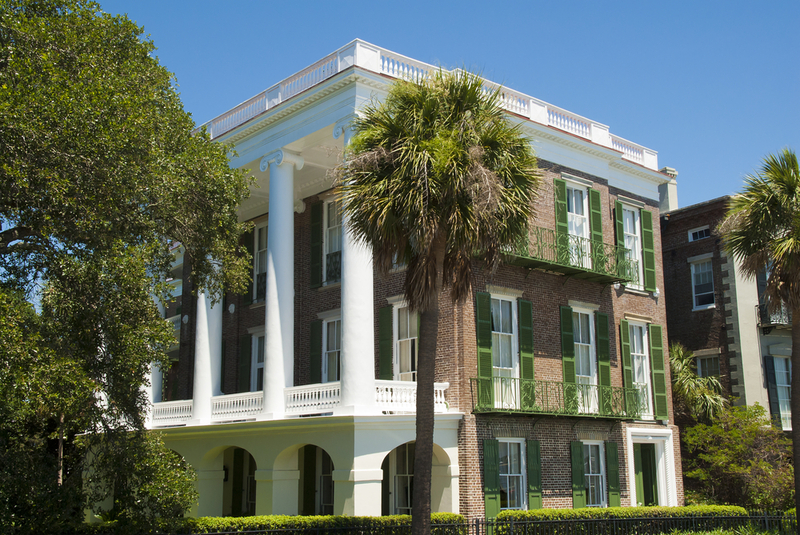 I waffled with whether to even title this gallery with the word “plantation” in it because it does connote an ugly history – yet it is history and that’s the term used to refer to many of the historical mansions built throughout the south. 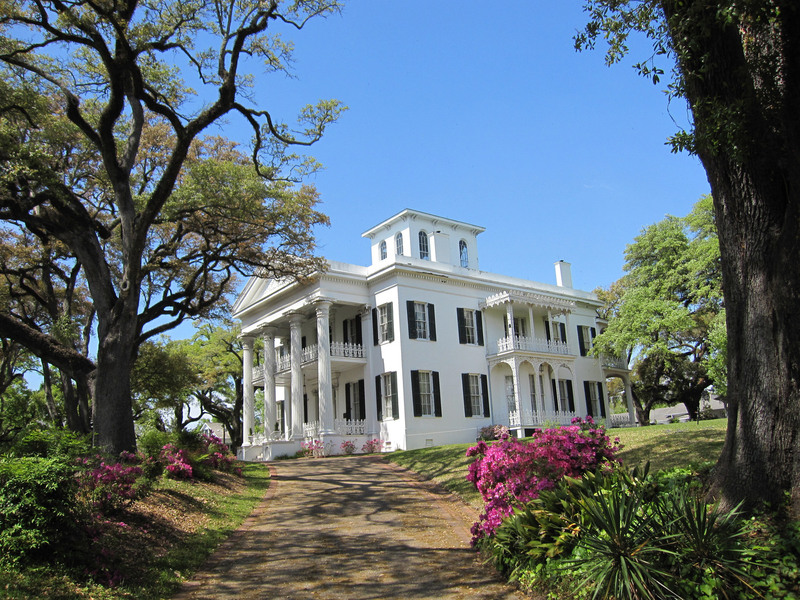 I concluded that substituting the term “plantation” with “southern” doesn’t get around the ugly history of this type of architecture and the system in which they were able to be built. 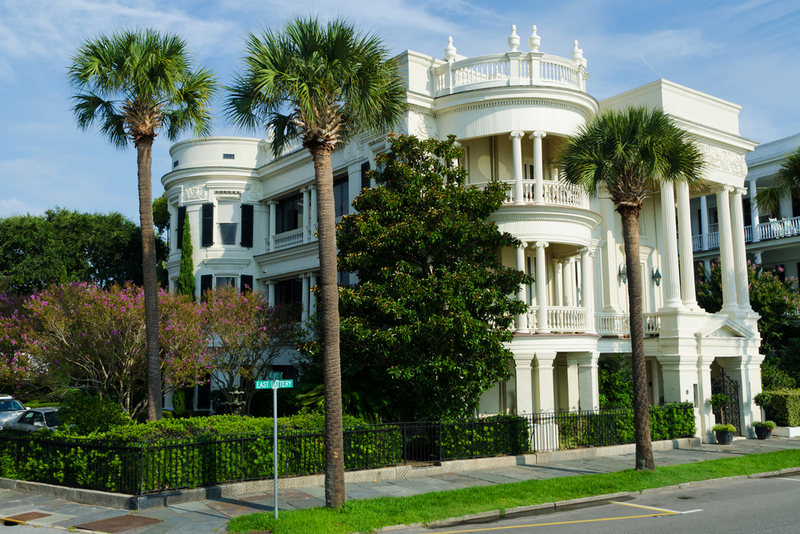 Plantation mansions and their owners’ town homes were built incorporating many different forms of architecture – often mixing architectural styles in a home design. 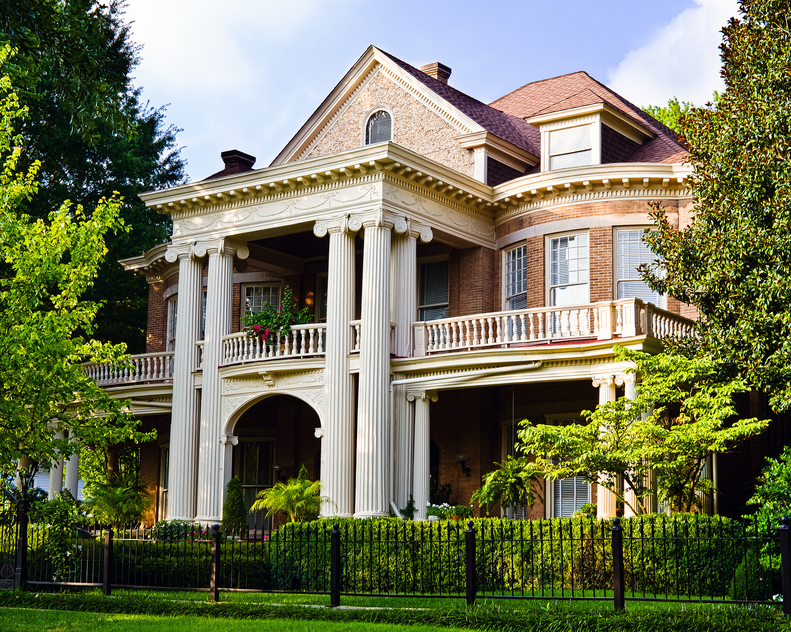 While some homes are more purist in design, others are a mix of styles. 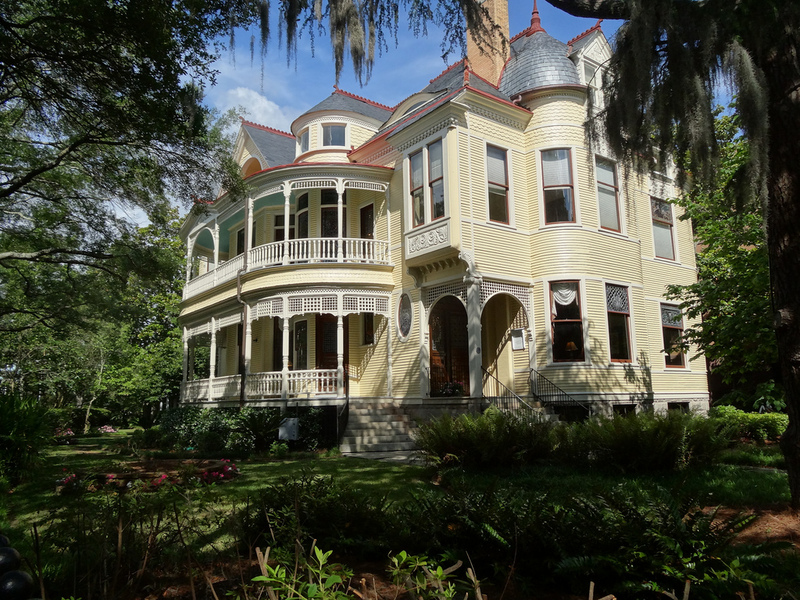 This photo gallery includes examples of many southern mansions – including famous historical plantation homes, historical town homes (mostly in Charleston, South Carolina) and contemporary Southern home designs. 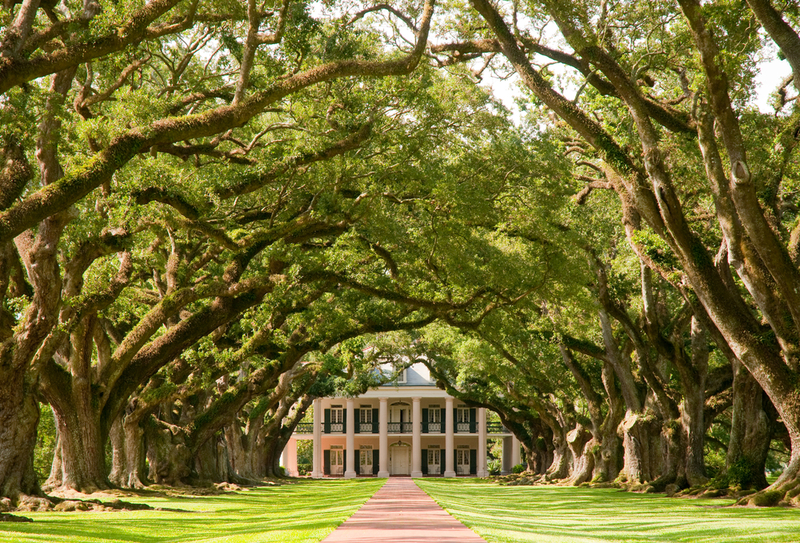 The famous Oak Alley Plantation with front driveway leading up to large Greek Revival home under a canopy of aged oak branches and trees. 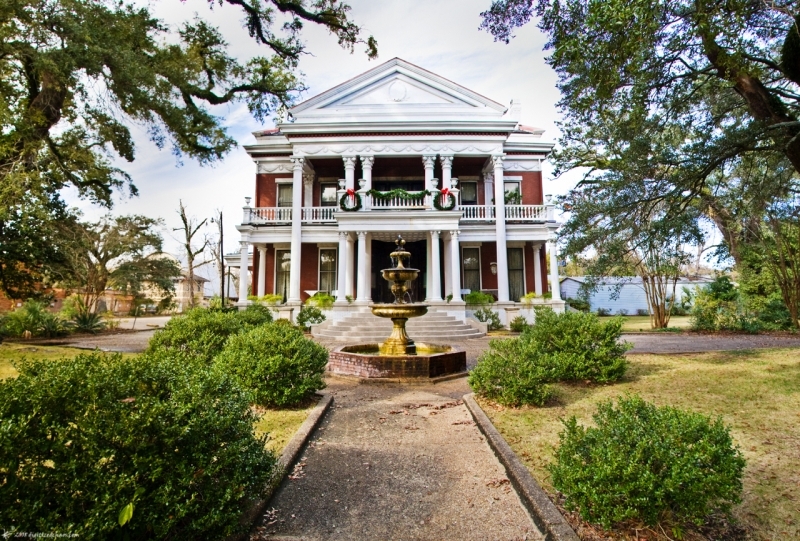 This home is located in Louisiana and completed in 1839.. 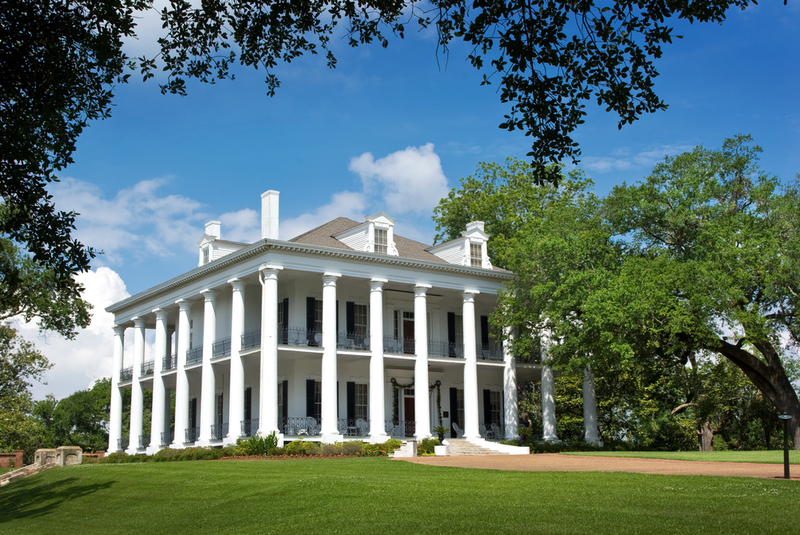 Classical revival mansion in Natchez, Mississippi..
Imposing photograph of an antebellum mansion. 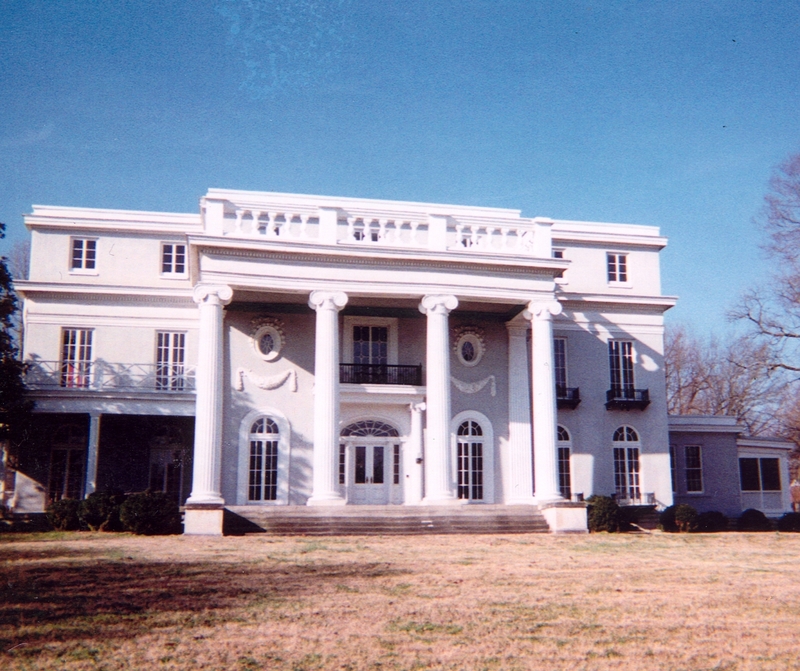 Brick southern mansion with 4 large white columns set in a large estate with large lawn and trees. 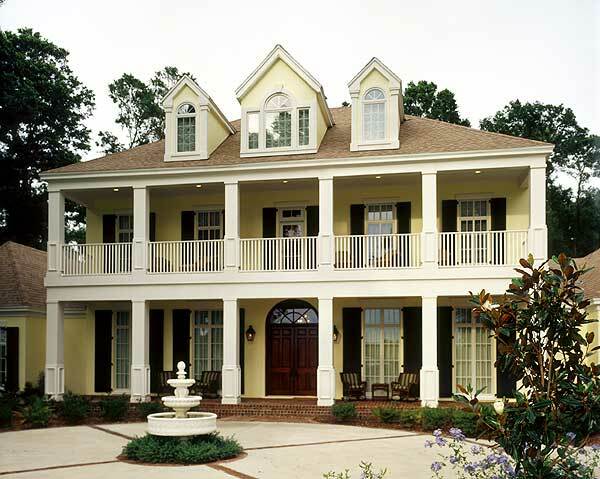 The clean landscaping complements the above home. 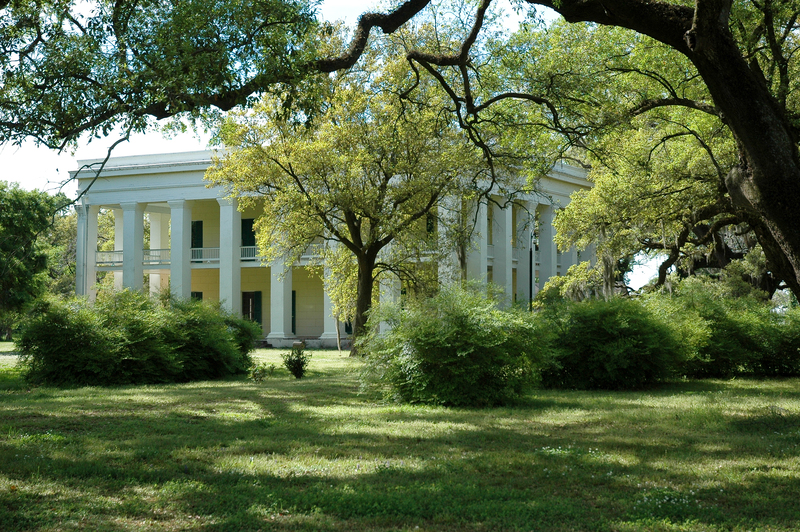 Plantation mansion built in Greek Revival and Georgian styles. 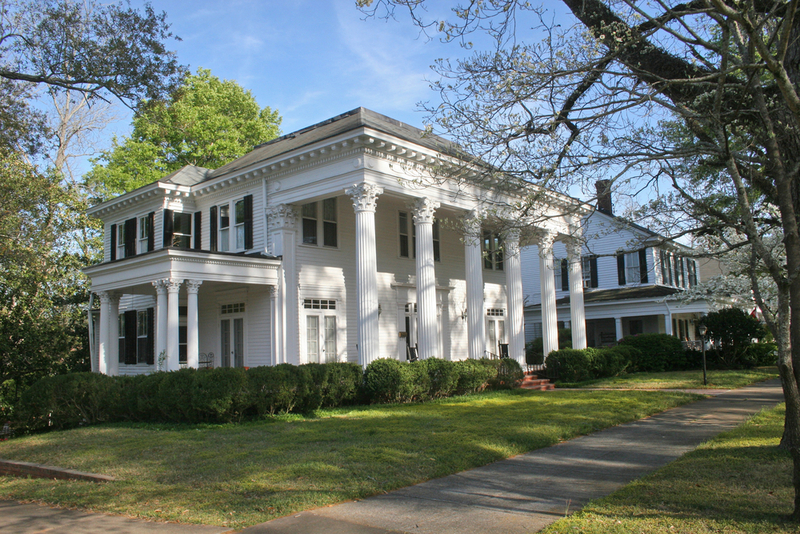 Greek Revival home built in Madison, Georgia. 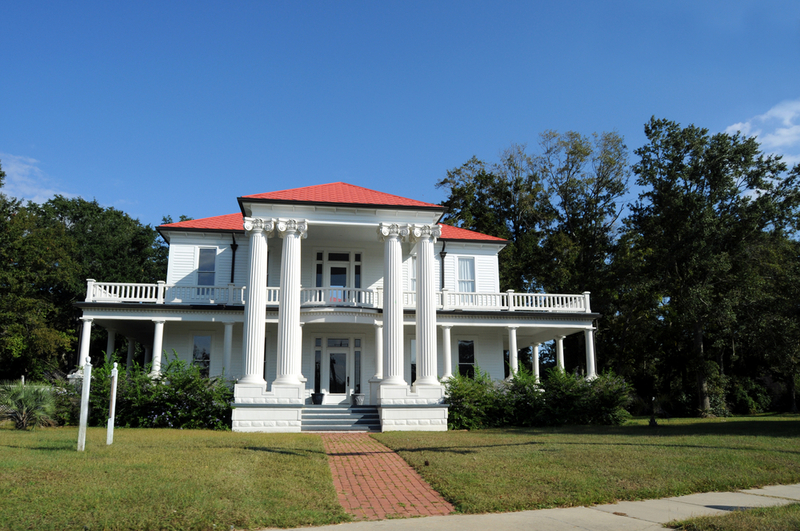 White mansion with red roof incorporating antebellum architectural features including 4 large pillars and wrap-around verandas on the first and second floors. 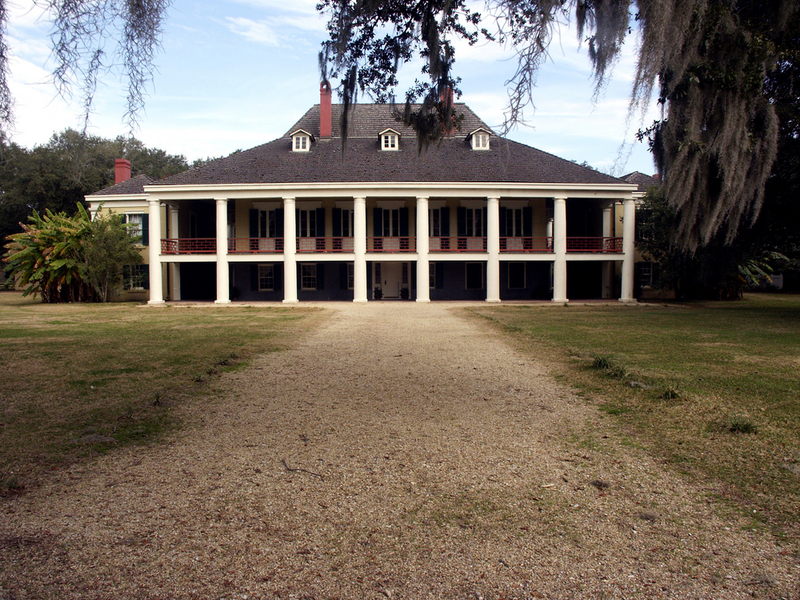 French colonial plantation home built in 1840. 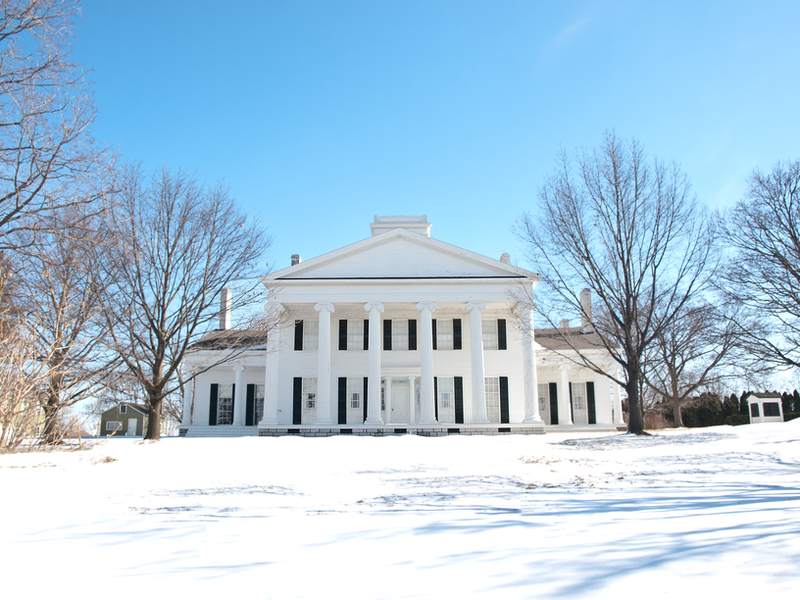 Greek Revival mansion in white where columns span only the front of the home. 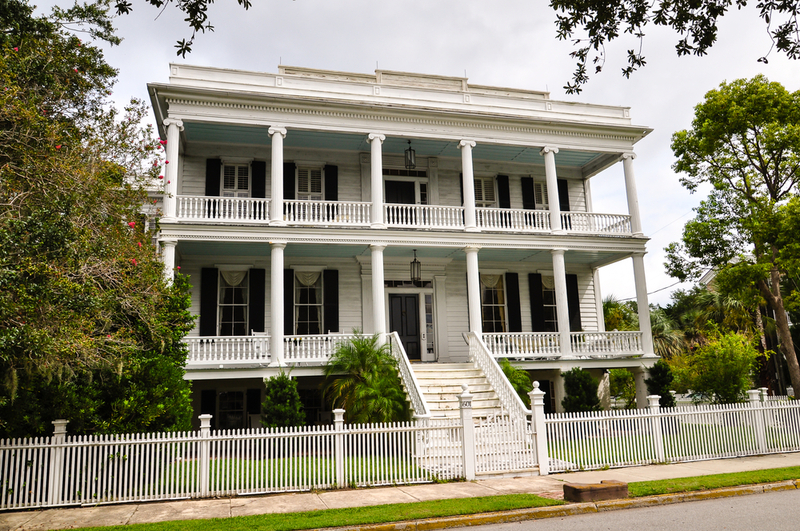 Old antebellum mansion with full-width veranda on both the first and second floors. 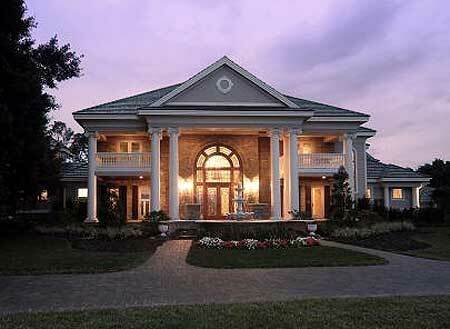 Urban southern mansion in brick with large columns spanning the full width of the front facade. 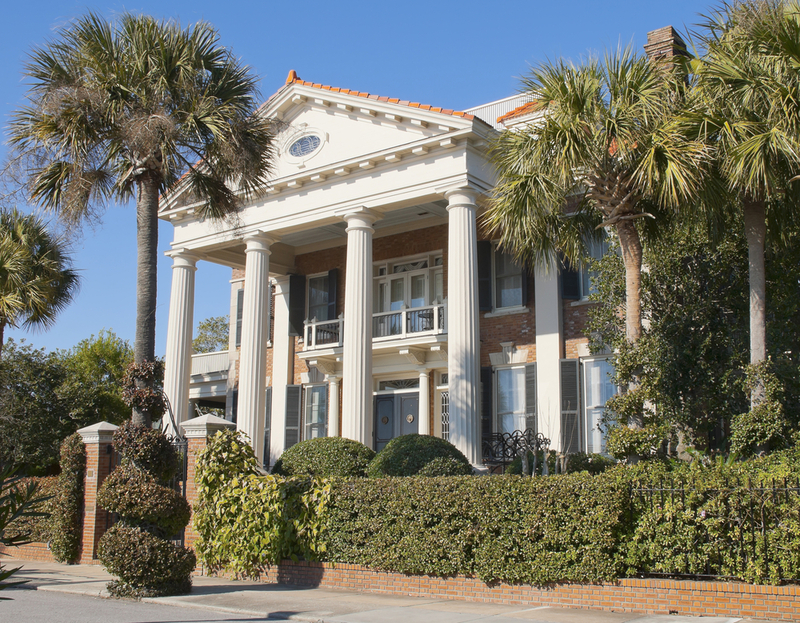 Built on Bay Street, Charleston..
Charleston white mansion on large corner lot. 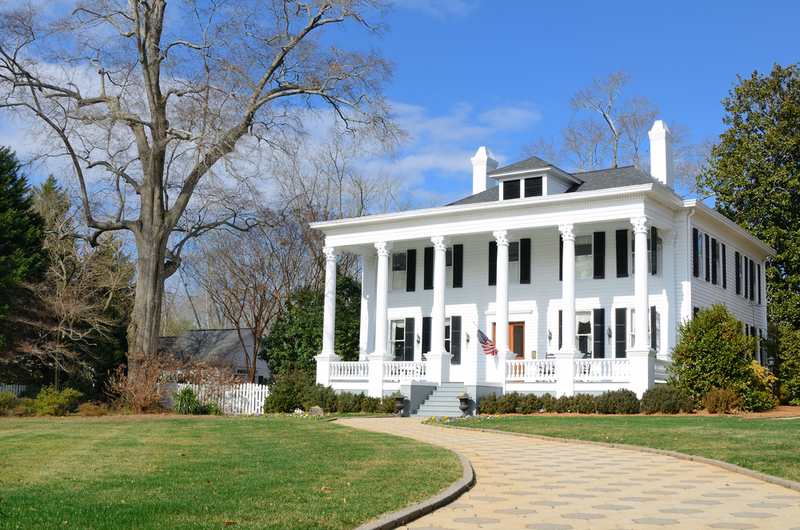 This home incorporates classic southern mansion features mixed with Victorian style.. 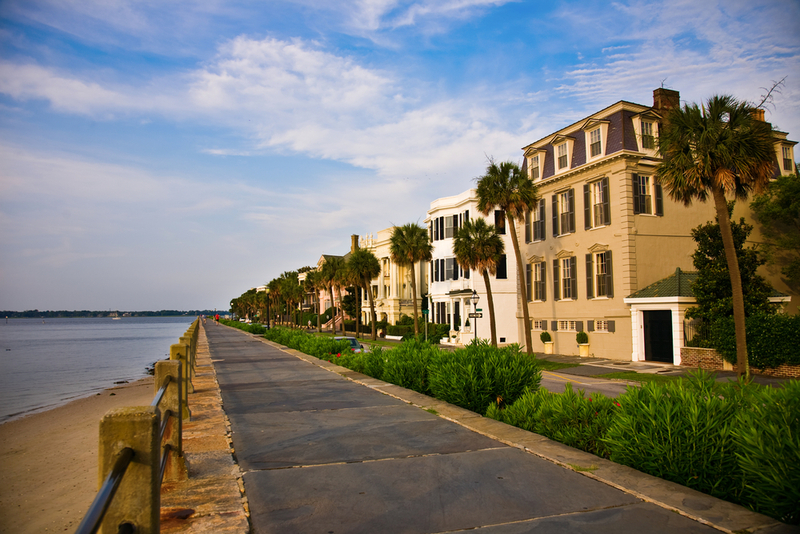 Famous Battery Park in the historic waterfront section of Charleston, South Carolina where many mansions were built in the 18th and 19th centuries. 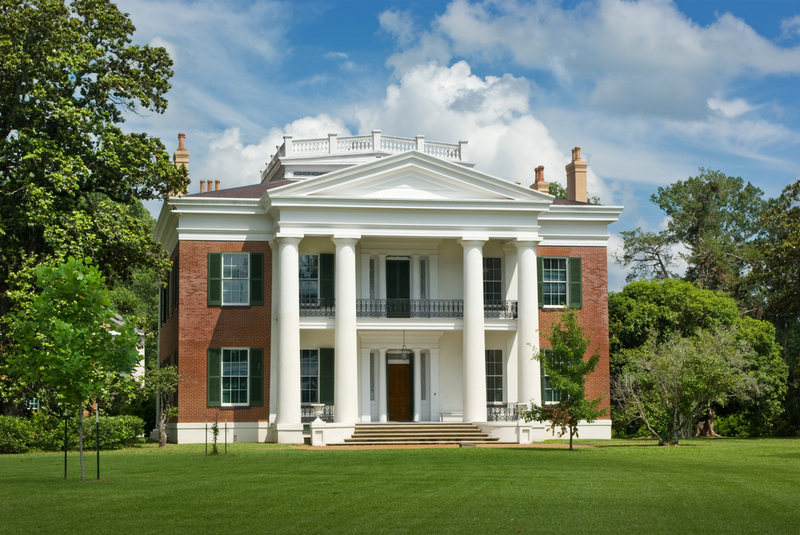 Greek revival plantation home. 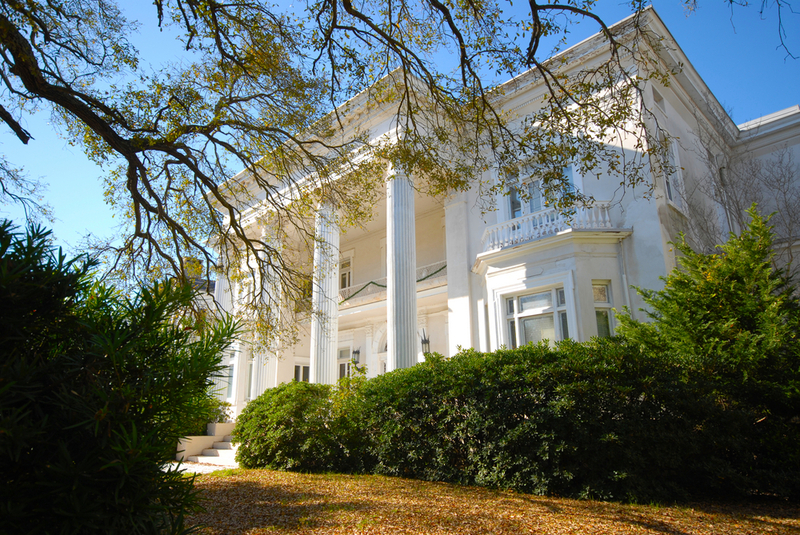 This home is a stereotypical Antebellum mansion with large pillars along the front facade on a large estate..
Large three story Charleston mansion on a corner lot. 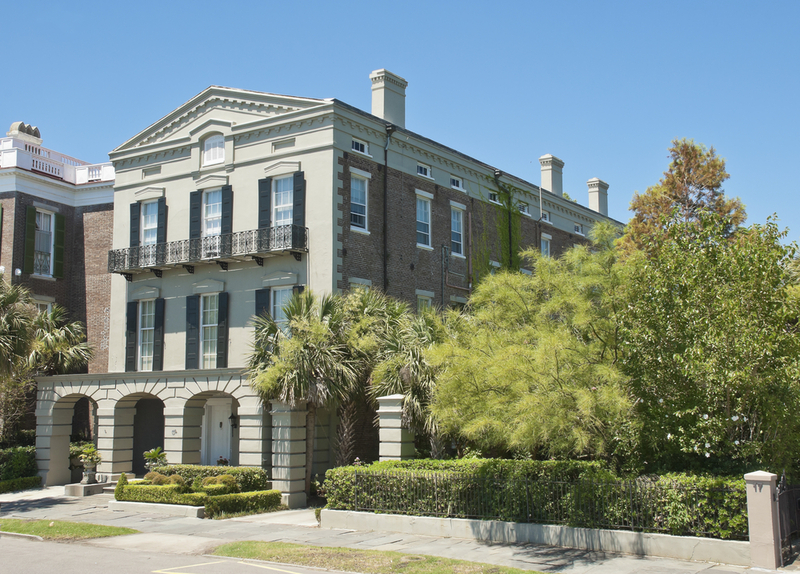 Romanesque mansion built in the 19th century in Charleston, South Carolina. 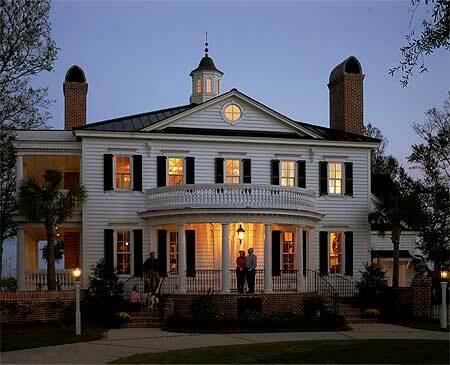 Battery mansion in South Carolina in the Romanesque style built in the 18th century. 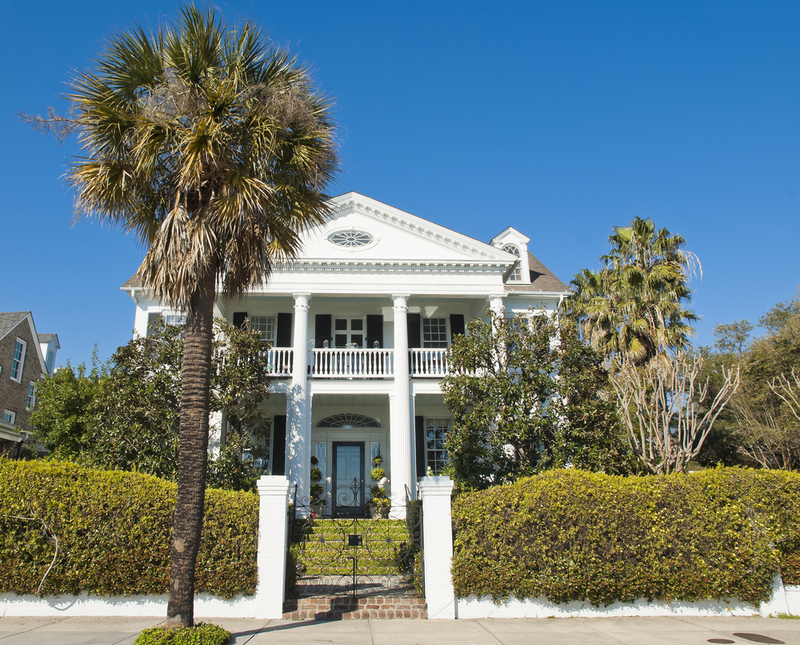 This was built as a town house used by wealthy landowners, a common use of many Charleston mansions..
Topiaries are a classic way to draw attention to your home, adding curb appeal and an air of affluence. 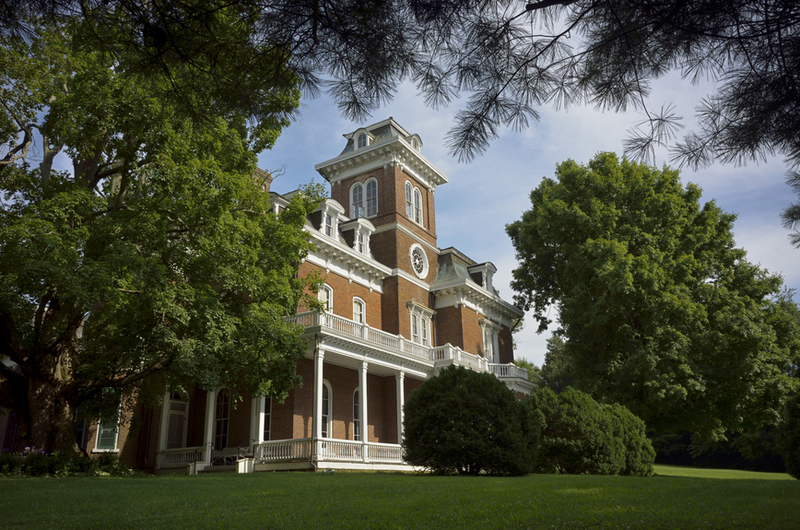 The Glenmore Mansion built in Jefferson City, Tennessee. 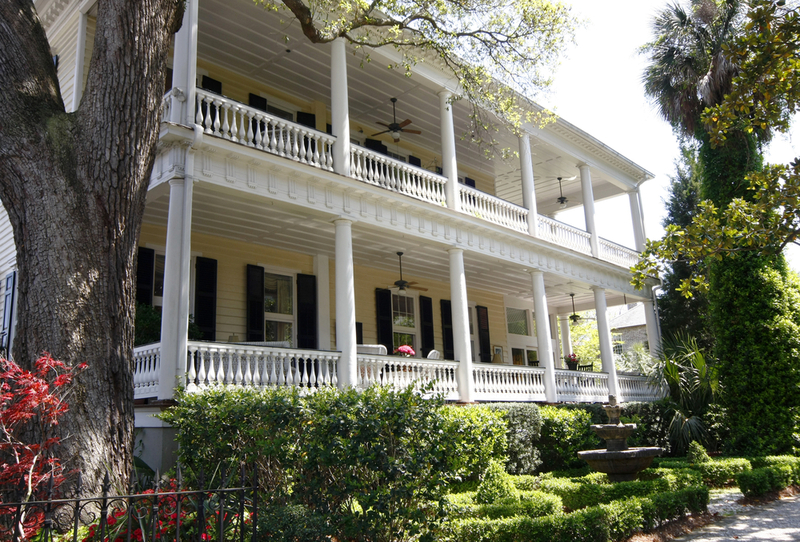 This home is a red brick Victorian design built in 1868..
White Charleston mansion surrounded with lush gardens. 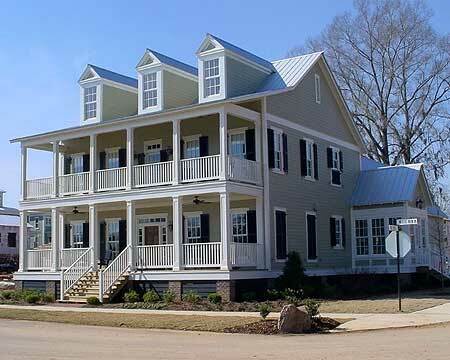 Southern town home mansion with full-width verandas on first and second floors.. 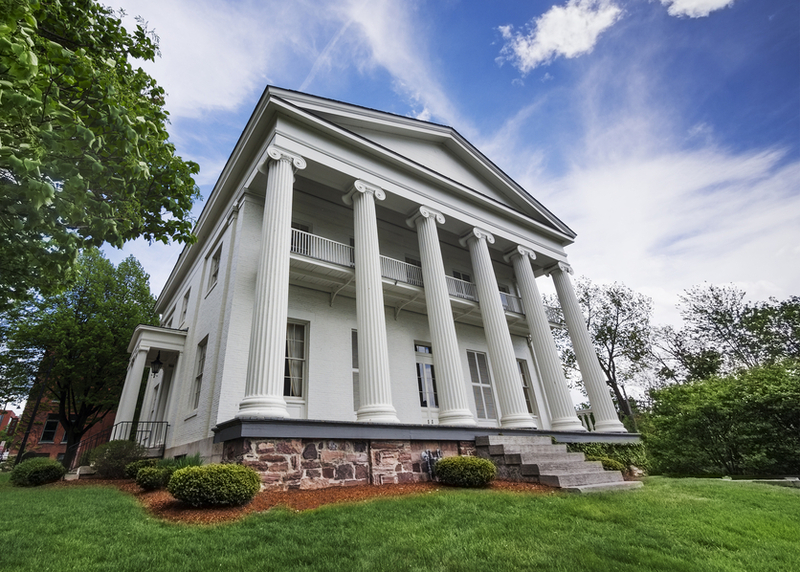 Historic brick southern mansion incorporating several architectural styles most notably Greek Revival elements with the imposing 4 pillars and symmetrical design combined with elements of Georgian architecture. 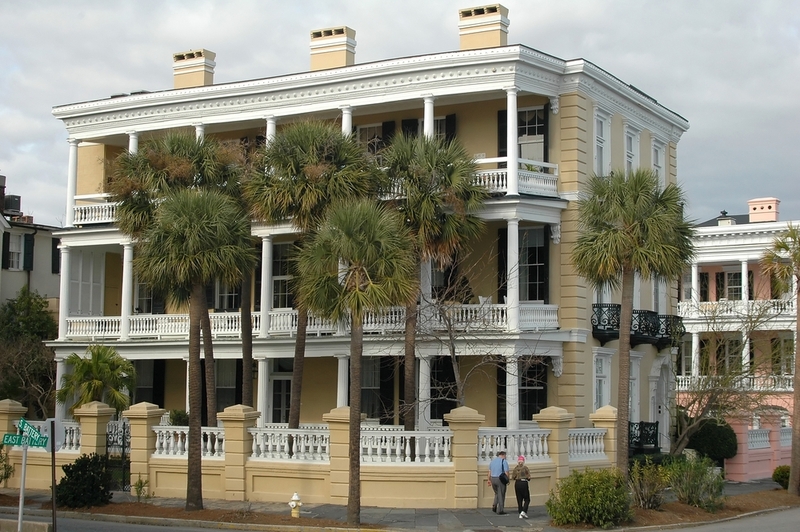 Roman architecture mansion built on the Charleston Battery. 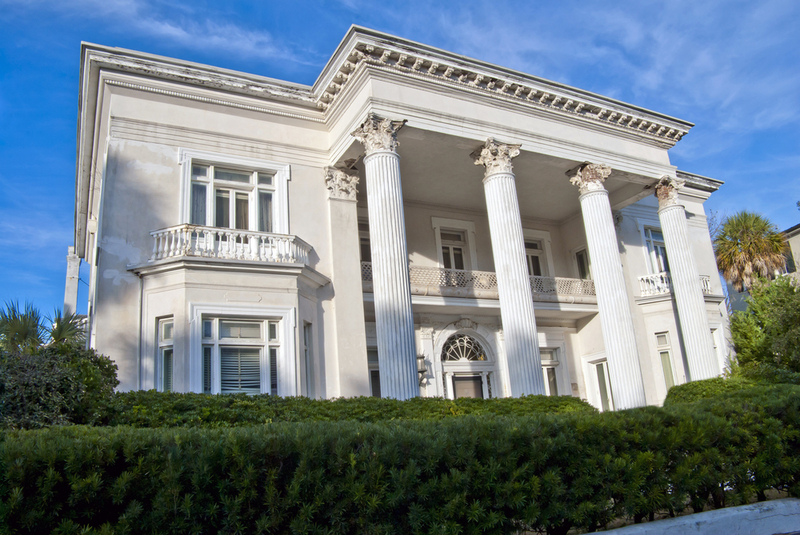 Contemporary southern mansion incorporating Greek revival and Georgian styles. 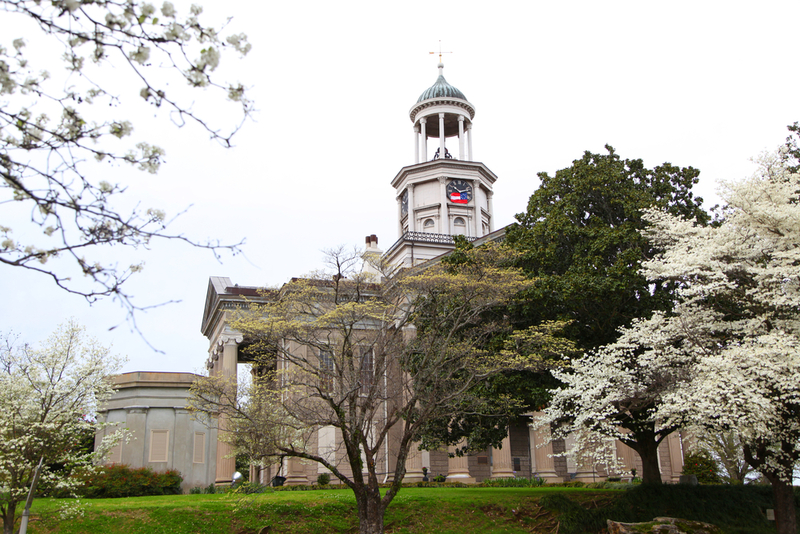 This roundabout has a garden fountain as a centerpiece. 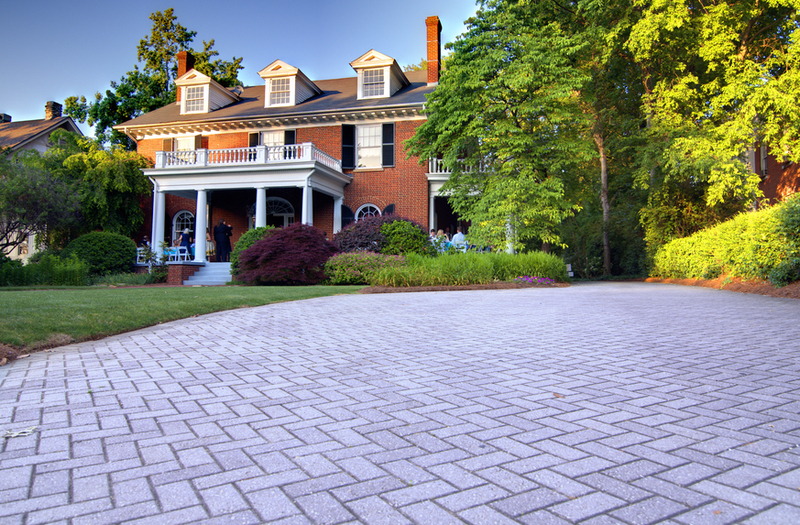 Click here for more incredible gardening ideas to make your property shine! 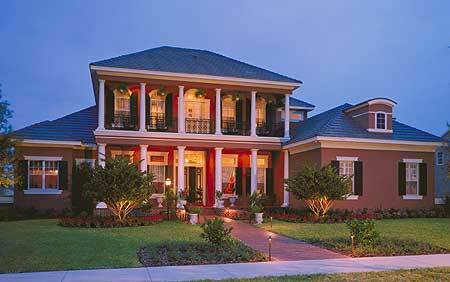 Contemporary southern home in built with red brick and white front portico. 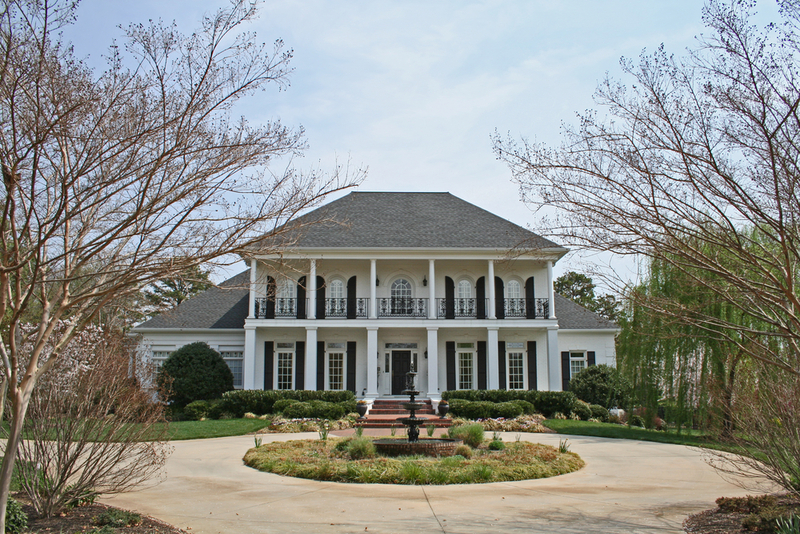 Contemporary southern mansion incorporating Greek Revival, Federal and contemporary home design.